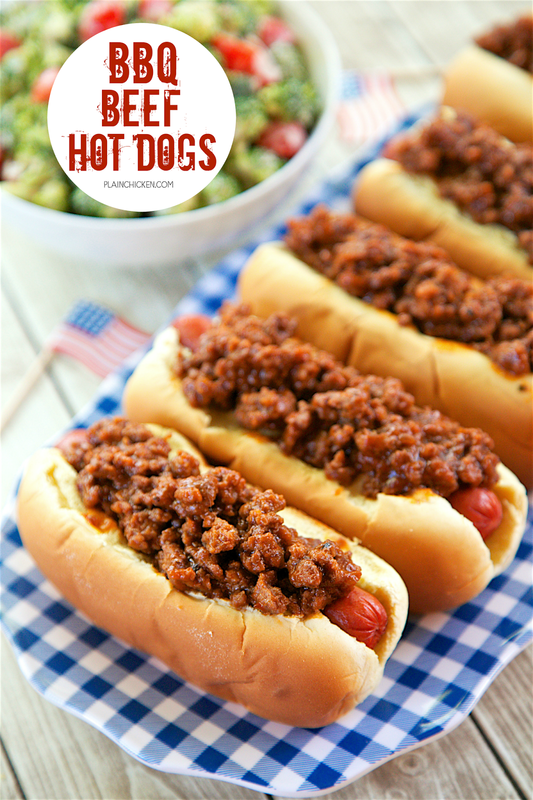 BBQ Beef Hot Dogs - only 4 ingredients! Hamburger, BBQ sauce, hot dogs and buns. SO easy and SO delicious! Top with cheese and fried onions if desired. The whole family loved these. Great for cookouts and tailgates! 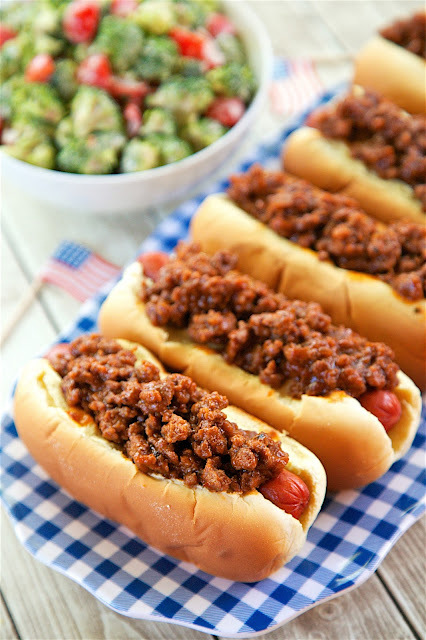 I cannot get enough of these BBQ Beef Hot Dogs! They are stupid easy to make and they taste great! The seriously only take about 10 minutes from start to finish. The best part is they only have 4 ingredients - hamburger, BBQ sauce, hot dogs and buns. These would be great for summer potlucks and cookouts. 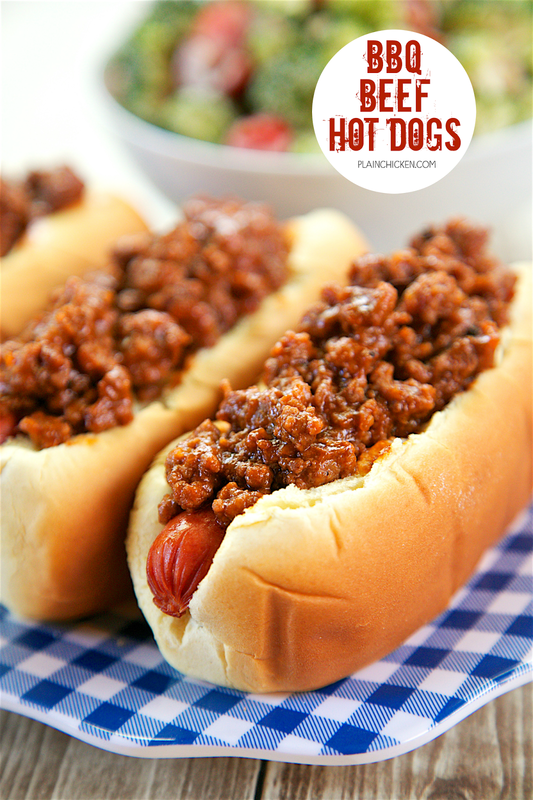 You could grill the hot dogs and top them with the BBQ beef. These are also really, really good with some shredded cheese and fried onions on top! YUM! We've made them several times and they are always a hit! In a large skillet, cook ground beef until no longer pink. Drain fat and return meat to pan. Stir in BBQ sauce and cook on low for 5 to 10 minutes, until thickened. Cook hotdogs according to package directions. 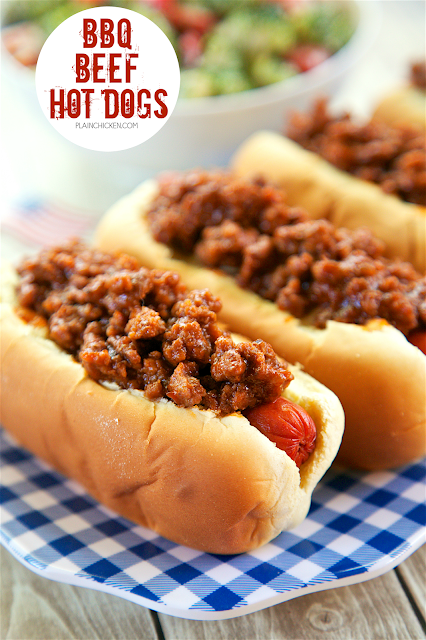 Place hot dogs in buns and top with BBQ beef. Serve immediately. This is just too simple and way too good to pass up! Making my mouth water right now!